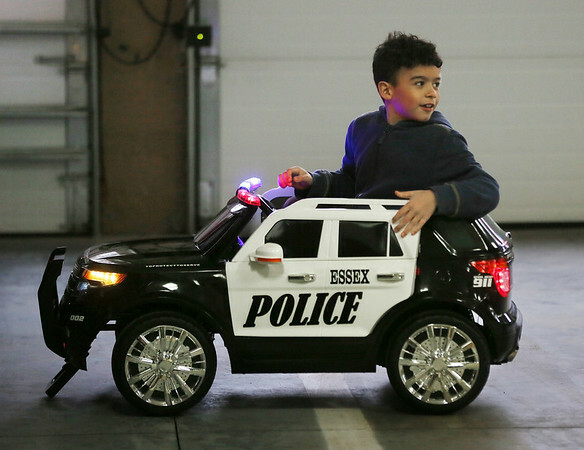 Seven-year-old Michael Bruce takes his new miniature police cruiser for a ride Thursday after winning the grand-prize drawing at this year's Essex Police Department P.E.T.E. (Police Educational Trading Card Experience) event. Each year Essex police distribute trading cards featuring police officers and staff to children in town. Those who collect the complete set are eligible to win a variety of prizes.